Have you read our recent blog article Dude Ranch vs Guest Ranch. What IS the Difference?! 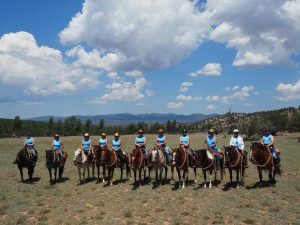 Regardless of whether it’s a dude ranch or guest ranch, the experience each ranch vacation offers is unique. From the size (8 guests to 100+) to the activities (horseback riding to yoga), to the food (gourmet to ranch style), to the amenities (board games to massages), there is a ranch vacation that fits your goals and budget. So how do you know if a ranch vacation is right for you? There are a lot of factors to take into consideration. 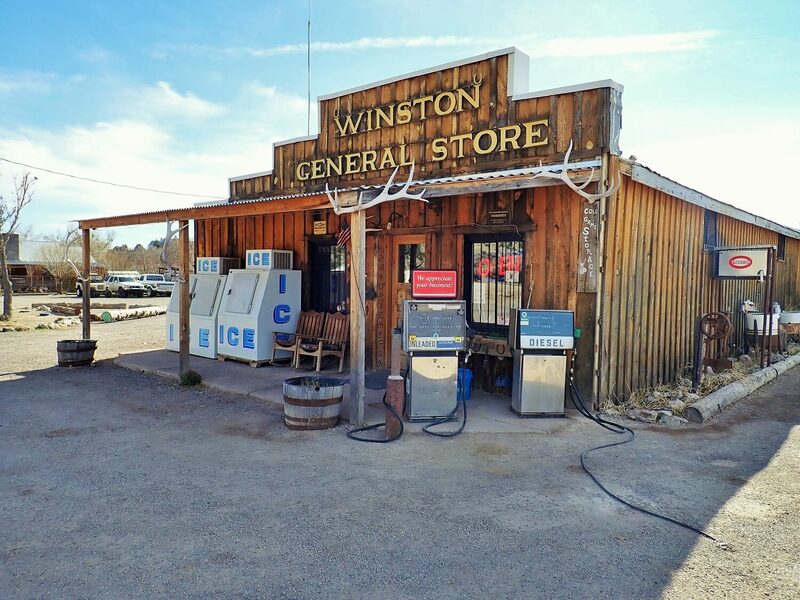 Read on to see what you need to evaluate before booking your ranch vacation. First, consider the number in your party. Are you a single adult? 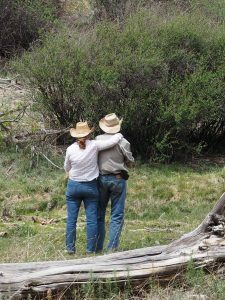 Smaller ranches offer a more intimate experience. They allow you to really bond with your fellow riders. 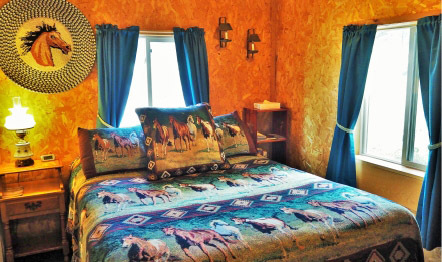 If you are looking to blend into the crowd, a larger ranch may be for you. Keep in mind that most ranches have a surcharge for single riders. Are you coming with a spouse or friend? Make sure you ask about the sleeping accommodations. You will likely have to share a cabin with the other people in your party, but may be in one large room vs separate rooms. Are you coming with your family? Consider the goals of your family vacation. A smaller ranch is better if you are looking for a lot of family bonding time. Oftentimes this means you will ride and dine together. Bigger ranches typically offer children/teen programs but those mean that you will spend a large portion of your vacation separate from your family. Are you coming with a large group? Capacity is very important. Bigger ranches can accommodate large groups with no problem. However, if you take your group to a smaller ranch, you will likely have the entire place to yourselves. Smaller ranches are great at customizing programs to meet your needs, even more so when you are the only group at the place! How much horseback riding do you want to do? 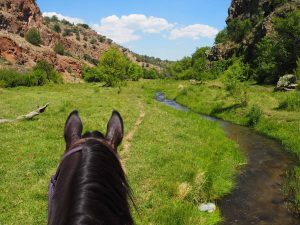 Larger ranches do offer horseback riding but it often takes a back seat to other activities and amenities such as pack trips, cattle work, fishing, shooting, ATV’s, zip lining, and more. While those are all fun activities, if you are coming to a ranch, then we feel it should be all about horseback riding! Smaller ranches are flexible and you can ride as much or as little as you want. How connected do you want to be? Most ranches are located in rural areas with little to no cell service and limited to no Wi-Fi. We invite you to disconnect and reconnect with your group and other guests. Make sure you clarify the connectivity if your job or personal circumstances don’t allow you to be off the grid. When booking your dude ranch vacation, there is a lot to coordinate-flights, hotels, rental cars, other stops, etc. Ask about where to fly into, how far a drive it is to the ranch, what there is to do along the way, etc. Reservations staff are very helpful in providing the information you may not always consider. Read over the ranches website to get a better understanding of what to expect when you arrive. Our website is designed to give you all the information you need (and more). 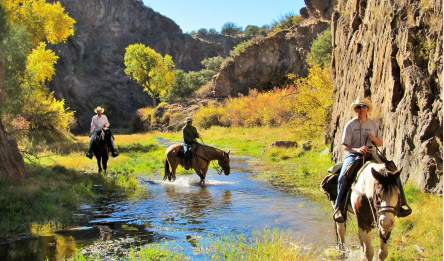 So, is a dude ranch vacation a good fit for you? 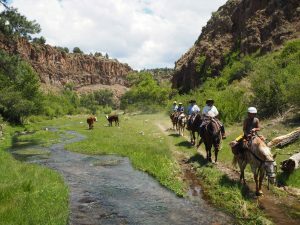 More importantly, is a ranch vacation at Geronimo Trail Guest Ranch right for you? If so, contact us today to book your vacation! 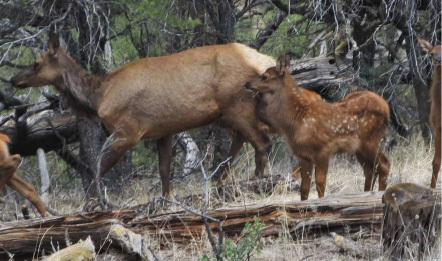 The Gila Wilderness Celebrates 94 Years. Happy Birthday! — Plan Ahead For Albuquerque International Balloon Fiesta 2018!